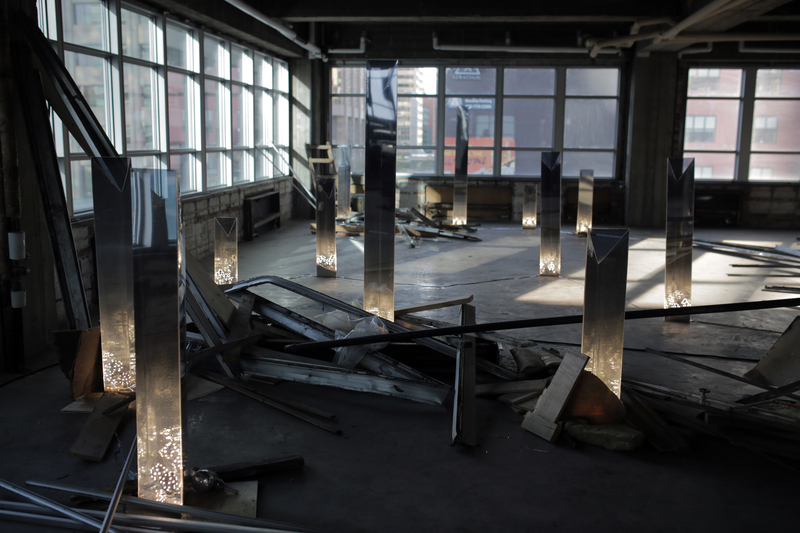 As Above, So Below was a multistory light installation installed inside Calgary’s first skyscraper – the historic Barron Building – during Beakerhead last September. Physical beams of light pass between floors, connecting two parallel realities: on the lower floor, a clean, empty space where illuminated columns stand like sentinels. On the upper floor, a ruined landscape of renovation debris. Arranged as if cutting directly from one floor to the next, the beams act as metaphorical time machines, transporting light through decades of change inside the Barron Building. As audiences move through these spaces, the beams illuminate (or don’t illuminate) in response to their presence, highlighting the transition from sordid past into unknown future. 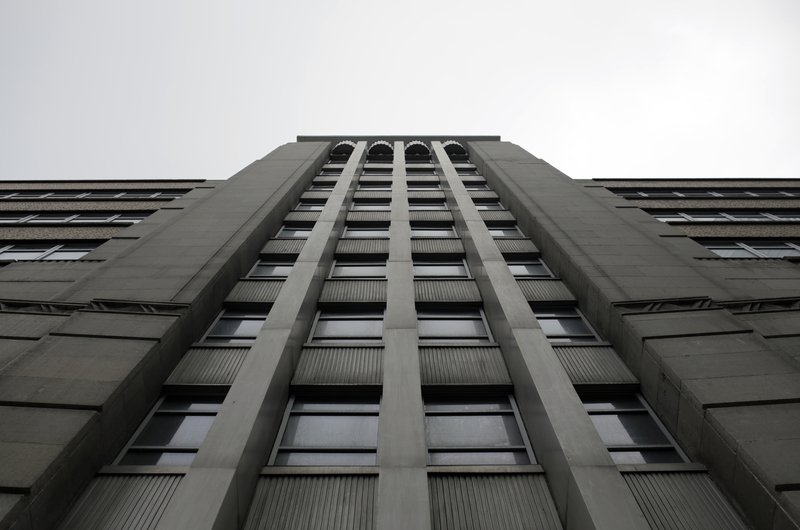 As Above, So Below is a site-specific meditation on passing time, and an opportunity for audiences to engage with the Barron Building mid-transition between past and whatever happens next. Looking at these stars suddenly dwarfed my own troubles and all the gravities of terrestrial life. I thought of their unfathomable distance, and the slow inevitable drift of their movements out of the unknown past into the unknown future. The ruin, despite its state of decay, somehow outlives us. And the cultural gaze we turn on ruins is a way of loosening ourselves from the grip of punctual chronologies, setting ourselves adrift in time. 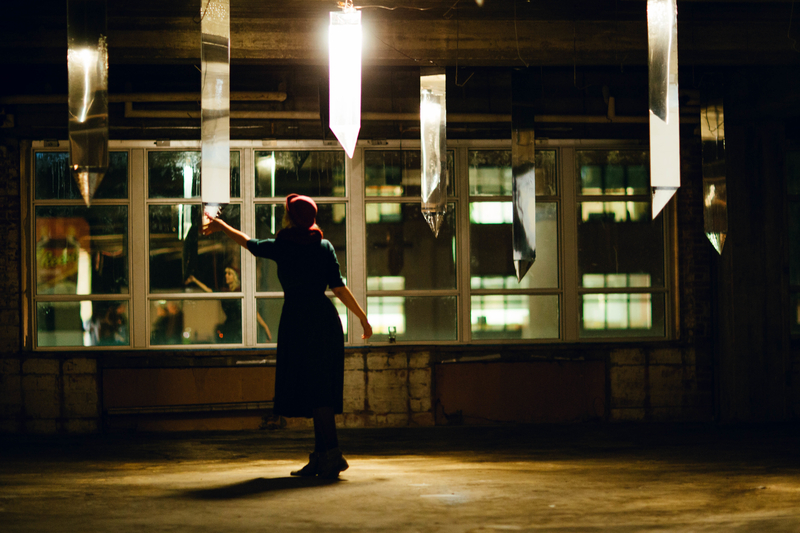 Special thanks to Beakerhead and the Temporary Gallery of Lasting Impressions in the Barron Building. Thanks also to Nanoleaf for use of their new Blossom LED light bulbs.